The picturesque town of Zagreb that came out of two medieval villages is full of classicist and secession buildings and palaces, museums and theaters, historical centre and the most important cathedral from 11th century. The town is situated between the gentle slopes, dense Nature Park Medvednica and low Sava River banks. People were engaged in trade (they were shoemakers, butchers, blacksmiths, potters and goldsmiths), agriculture and transport. 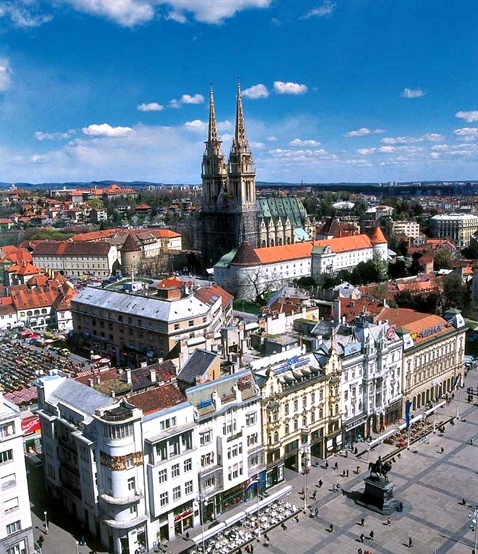 The first references to Zagreb as the capital city of Croatia contributed to a variety of changes and development of the city. The city became an ideal spot for Franciscans, Jesuits, as well as many bishop's orders, who then built churches and abbeys. As the years were passing by, the first high school and academy were built, as well as the printing house and a museum, fair and green market, manufactures, luxurious palace, the courtyard and the famous houses. Its charm and a pleasant natural position attracted many peoples, the colonies, rulers and kings. From times immemorial until today the town has remained the town of culture, arts, music, a university and a business center. Gastronomic delicacies in the heart of Croatia can be found in green markets and craft shops scattered throughout the narrow streets, as well as in fine restaurants and cafes surrounded by gardens, terraces and parks.